WASHINGTON – Congressional Leadership Fund (@CLFSuperPAC), the super PAC endorsed by House Republican leadership, today released a new ad, “Wrongful Termination,” in California’s 48th Congressional District. The ad details a female employee’s lawsuit against Harley Rouda’s real estate company for firing her after she received cancer treatment because her costs were too high. The ad will run on television in the Los Angeles media market and on digital platforms throughout the district. Watch the ad, “Wrongful Termination,” here. 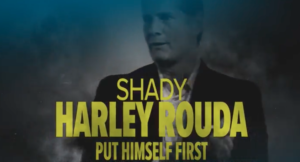 VO: How does millionaire Harley Rouda treat his employees? Rouda’s real estate empire was sued for discrimination. So heartless, he fired a female employee after she received cancer treatment because her health care cost too much. After losing a lawsuit, Rouda’s business was ordered to pay the woman nearly two million dollars.